Welcome to our website, I hope you find the information that is helpful in whatever journey your own. 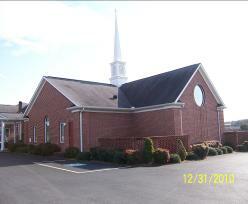 I hope your journey leads you to visit our grace filled church. A little about myself; my name is William Kent Bailey, I go by Kent. I was appointed as pastor to Hillsboro First on July 1, 2018. 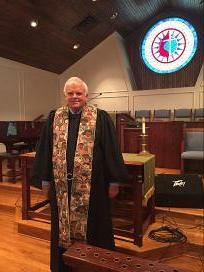 I am a multi-generation United Methodist pastor. I was raised in parsonages across North Mississippi, Western Tennessee and Western Kentucky. I began in ministry in 1982 and served: Kerrville-Pleasant Ridge, McLemoresville-Trezevant, Associate Pastor at Colonial Park in Memphis, Adamsville First, Malesus in Jackson, Benton First (Kentucky), St. Luke’s in Memphis, Brownsville First. In 2008, I requested early retirement. I attended and finished additional education at John A. Gupton College in Nashville for Funeral Directors. I am currently a Licensed Funeral Director in Tennessee. I spent several years in the funeral business. In May of 2016, I received a call as pastor of the Milldale Presbyterian Church north of Nashville. Bishop McAlilly recently asked me to serve Hillsboro First UMC. I am delighted to be here. I am a graduate of Paducah Tilghman High School (Paducah, Kentucky), Lambuth College (Jackson, Tennessee), Memphis Theological Seminary (Memphis, Tennessee) and John A. Gupton College (Nashville, Tennessee). I am an Ordained Elder in the Memphis Annual Conference in retired status. I am divorced after 29 years of marriage. I have two adult children; Stephen Kyle (Jessica) of Spring Hill, Tennessee. Mary Catherine of Murray, Kentucky. Kyle gifted me with three beautiful grandchildren; Gavin, Ella Rose (8 year old twins) and Harrison (4 years old).